A touch of glamour and shine that elevates every outfit! 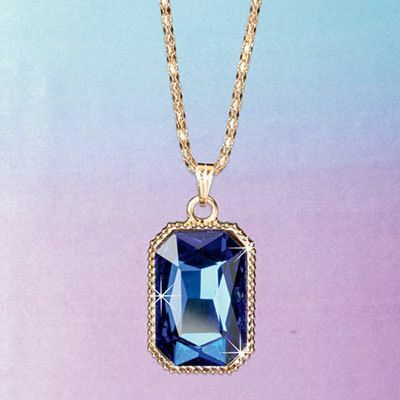 Set in elegant gold-tone ribbed framework, the large 2"l faceted faux gem of this Cerulean Pendant Necklace makes this a statement piece like no other. 16"l chain. Hurry! Quantities are limited!